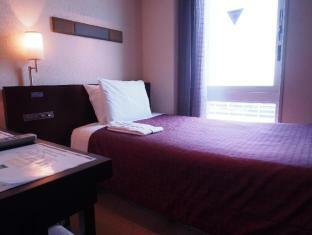 Ibis Styles Kyoto Station Hotel is conveniently located in the popular Kyoto Station area. Offering a variety of facilities and services, the hotel provides all you need for a good night's sleep. Take advantage of the hotel's elevator, shared lounge/TV area, car park, newspapers, concierge. All rooms are designed and decorated to make guests feel right at home, and some rooms come with bathrobes, hair dryer, mini bar, inhouse movies, non smoking rooms. The hotel offers various recreational opportunities. Ibis Styles Kyoto Station Hotel combines warm hospitality with a lovely ambiance to make your stay in Kyoto unforgettable.